Nature has constructed our bodies to withstand and endure lost of healthy issues thought a lifetime. The ingredient for forging a tough body is Exercise. Regular exercise of any type will definitely build your body a tough shield and will keep it healthy and strong. 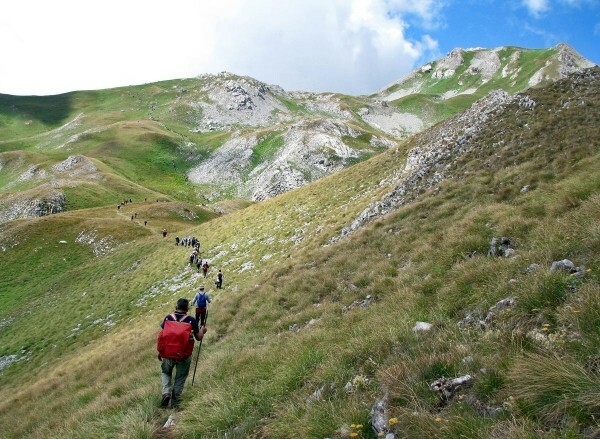 One of the top exercising and natural type of exercise is taking a walk; or better, a hiking trip in the mountains. Every now and again, people have experienced a hiking trip in nature; a small one in the afternoon or a big one in the entire day. The obvious reason for It is to get away for a moment from all the troubles in your everyday life; and that is true. The first benefit from hiking in the mountains is the possibility for a day offering you a chance not to think of any problem that you have every-other day. A simple walk in nature takes you away from busy streets, busy traffic, large crowds, yelling bosses, non-communicative colleagues, sitting in from of the computer, TV, noise, and you name it. It will be a day when you can imagine how the world will be if it weren’t for all that dynamic modern life-style. That first benefit leads to the second which is stress relief. Stress is an indispensable part of every day life. It can easily lead to many health problems. Many doctors consider stress to be the fire starter for all disease. Keeping its level to a minimum will keep the disease off your system. Having a good hiking trip in nature will relieve you from every single stress that has a grudge on you. The healthy benefits don’t stop here. In spite of the stress-relief benefit; a simple hiking trip in nature will strengthen your body muscles and bones. The day after a hiking trip you will feel like forged iron; and the day after even stronger. Stronger legs will be forged and you will be able to take longer walks during the day. Almost every cardio-surgeon will recommend every Sunday a hiking trip in nature. Don’t be surprised if you see more cardio-surgeons as members of your local hiking club. They know what is best for the heart and blood circulation. After that entire healthy boost, it is good to know your surroundings; the country where you live; to see nature “in the flesh”; and etc. hiking doesn’t have negative sides, it has only a positive energy provider. “The first benefit from hiking in the mountains is the possibility for a day offering you a chance not to think of any problem that you have every-other day. A simple walk in nature takes you away from busy streets, busy traffic, large crowds, yelling bosses, non-communicative colleagues, sitting in from of the computer, TV, noise, and you name it. It will be a day when you can imagine how the world will be if it weren’t for all that dynamic modern life-style. I could not agree more about the content and accuracy of the above quotation. I have long, happy and very pleasant history in hiking myself. Just one single day in the mountains equals a long week of stress relief and / or stress detachment . In the past I could spend days in the mountains, leaving civilized life back in the city and find stress relief shelter in the wilderness, that was still, not that far from home. Now days, one day a week is all that I can afford. Still, I experience the same joy, relief and happiness as before. Keep up with the good work “Mountain King”. I hope this effort of yours attracts more people in the mountains.